TVA President Bill Johnson smiles during the TVA board meeting Thursday, February 11, 2016 in the TVA Chattanooga Office Complex. Updated at 10:56 p.m. on Thursday, Nov. 15, 2018, with more information. 2017: Total payments of $112.5 million, or an average of $10,970 for 10,250 employees. Source: TVA 10K filing for 2018. Compensation includes salary, short-term and long-term incentives and the change in pension values and deferred compensation plans. Just in time for the start of the holiday shopping season next week, most of TVA's staff will be getting an extra paycheck next week, averaging more than $14,000 per employee, in recognition of the agency meeting or exceeding most of its performance targets for fiscal 2018. In its year-end financial report filed Thursday, the Tennessee Valley Authority disclosed the "winning performance" payments for its employees for 2018 are up more than 28 percent from a year ago to a record high of $144. 5 million, even though TVA's overall staff continues to shrink. Most of the 10,023 employees of TVA will be paid their annual performance pay next week based upon the results for the utility in the fiscal year that ended Sept. 30. 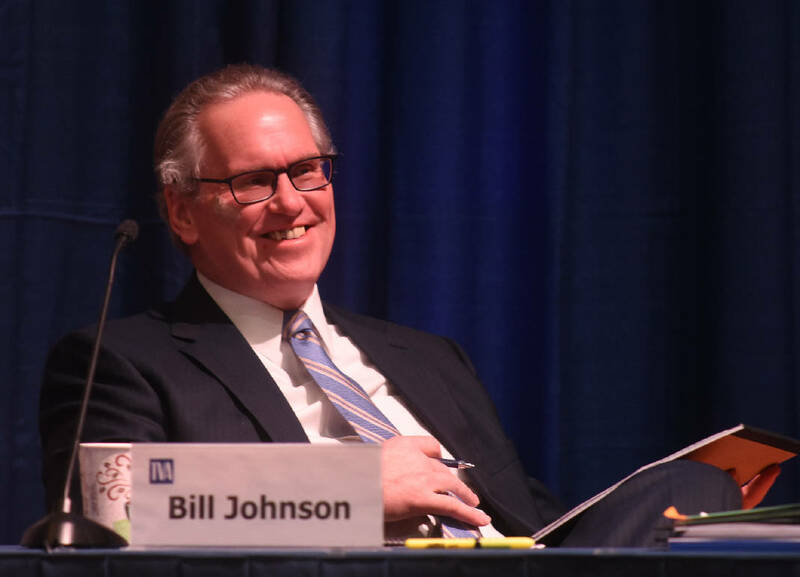 "TVA's performance in 2018 was strong — one of the best in our 85-year history," TVA President Bill Johnson said Thursday. "The effective power rate that TVA customers pay has been flat for half a decade and retail rates in the [Tennessee] Valley remain among the lowest in the nation." TVA has cut its annual operating expenses by more than $800 million — cutting 3,000 jobs and streamlining operations across the organization — and the utility has built new gas-fired and nuclear generation to replace aging, dirty coal plants to help cut its carbon emissions in half since 2005, Johnson said. During fiscal 2018, TVA reduced outages and accidents to a record low, attracted a record high level of new business investment, trimmed the average delivered price of power and cut net borrowings. "We had stretch goals in most categories that are extremely hard to hit and in most categories we met these stretch goals," said Sue Collins, senior vice president and chief human resources manager for TVA. "These payments are not bonuses. They are at-risk pay for our employees to incentivize employees to meet and exceed goals in key areas." Depending upon the job, TVA employees are eligible to earn anywhere from 5 up to 150 percent of their salaries in performance pay each year. The TVA board on Wednesday authorized the maximum corporate-wide incentive pay, although individual jobs also wil get varying levels of incentive pay for particular tasks within each job. TVA also is granting average annual pay increases this year of 3 percent, reflecting surveys of pay levels for jobs at similar electric utilities across the country, Collins said. "It's important that our pay levels be competitive to attract the best talent and get the best results," Collins said. TVA Chairman Richard Howorth said the results in 2018 prove the performance pay approach is working. "If you look at the results, I think the plan has worked and has been effective," Howorth said. TVA's top executives have the biggest share of their compensation tied to performance, and that paid off in 2018. Johnson, TVA's chief executive for the past six years, received pay, bonuses and deferred compensation in 2018 of a total of $8.1 million, up 22 percent from a year ago. Johnson is among a handful of TVA executives paid more than $2 million in compensation in fiscal 2018. Johnson, the 64-year-old president of TVA who announced Wednesday he will retire in early 2019, is the highest paid federal employee in America. But in approving the performance payments for the agency's top executives Wednesday, TVA board members said Johnson's pay is still in the bottom 25 percent of 37 comparable CEOs for electric utilities of comparable size surveyed by Towers Watson Energy Service. Johnson was paid a $1.05 million salary, plus $5.7 million in incentive pay and $1.3 million in deferred compensation and pension benefits in the fiscal year ended Sept. 30. "It is a lot of money, but we have to be competitive," Howorth said. "Our TVA charter stipulates that we be competitive in our compensation. CEO compensation is extraordinarily high, so we don't quite behold ourselves to that same standard [of investor-owned utilities] recognizing that we are a public utility." Johnson's pay and performance incentive for 2018, for instance (excluding deferred pension payments) total less than $6.8 million, or 25 percent less than the industry average CEO pay, according to the Willis Towers Watson surveys. TVA directors voted Wednesday to boost the annual salary and at-risk performance pay for its CEO by another 6 percent in fiscal 2019. With help from Mother Nature and cheaper fuel, the Tennessee Valley Authority boosted its income in fiscal 2018 while still reducing the average cost of delivered power to the nearly 10 million customers served by the federal utility. TVA earned more than $1.1 billion in net income in the fiscal year ended Sept. 30, up by more than 63 percent from the previous year, even after it took extra income to pay off the remaining debt on the last of its investments in nuclear plants that were never finished. TVA sold more than $11 billion in electricity across its 7-state region in fiscal 2018, primarily due to colder winter weather in January that led to the utility setting an all-time record for energy demand in a 24-hour period. Also in January 2018, TVA set three of its top-12 winter peak demand records during the coldest days of the year. Cheaper natural gas and more abundant rain for TVA's hydroelectric units, combined with more nuclear power generation, helped to reduce TVA's fuel costs from 1.7 cents per kilowatthour to 1.62 cents per kilowatthour. That offset a 1.5 percent base rate increase during the year to keep the delivered cost of power slightly below the average for the previous year. Net income was the second highest ever for TVA in its 85-year history during 2018, behind only the record high of $1.2 billion earned in 2016. The utility would have had a record year for profits in the past year, but it took advantage of its higher operating income in fiscal 2018 to accelerate the payoff of the remaining $764 million in debt associated with its canceled Bellefonte Nuclear Power Plant in Alabama. That cut net income, but also helped reduce TVA's debt level to the lowest point since the early 1990s, TVA Chief Financial Officer John Thomas said. "With the improved results, it seemed appropriate to extinguish some of these obligations," Thomas told the TVA board Wednesday. "With our strong results, we ended up with lower debt levels so we also had lower interest expenses (in fiscal 2018)."